After 15 years of publishing world-class books, ANU Press is excited to again be at the cutting edge of open-access exploration as we look to launch a new imprint in 2019 specifically for publishing music. This new imprint—currently under the working title ANU Press Music—aims to address the growing need for a viable means of publishing, distributing and preserving high-quality Australian music that is being otherwise overlooked by traditional music publishing avenues. As digital distribution is reducing profit margins on music, artists of less-commercial music are being squeezed out of the recording industry. With many fine established and emerging musicians unable to secure recording deals, their music is often going unpublished and is at risk of being forgotten. 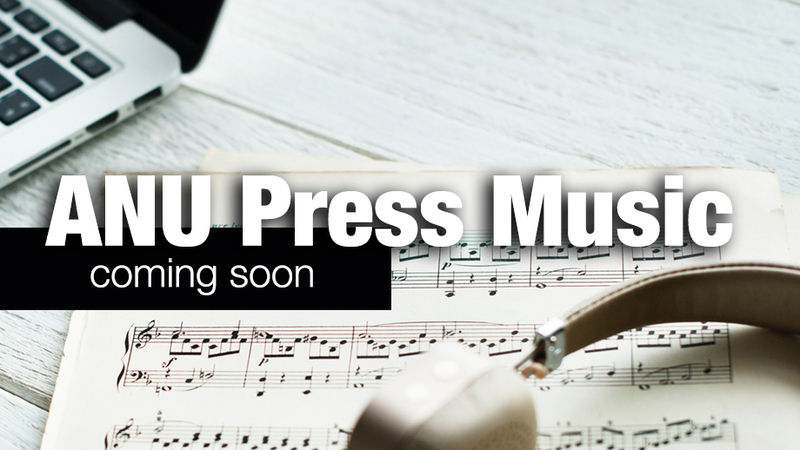 Along with publishing works of superior overall quality, ANU Press Music will also focus on music projects that demonstrate innovation and research, and which add value to their genres that cannot be defined by their commercial appeal alone. World-renowned composer and recording artist Dr Kim Cunio from the ANU School of Music has been the driving force behind establishing ANU Press Music. “We hope this can become a repository for great music that would otherwise be buried and forgotten,” says Dr Cunio. Further information about this project will be made available as it develops. To keep informed about future ANU Press news and projects, subscribe to our mailing list.